Preparative chromatography – What is it? In the process of manufacturing pharmaceutical and biotechnological products, the different steps of purification required in order to deliver a quality product are essential and can have a major impact down the line. Preparative chromatography is a technique used for separating the ingredients of complex mixtures. It is used in the pharmaceutical industry to purify molecules by cleaning them of their impurities. Once purified, the molecules are used for various applications, such as clinical supply in the case of active pharmaceutical ingredients (API). The active ingredient or the interim mixture, in its raw state, is placed on the stationary phase of a chromatography column and mixed with solvents. Elution, i.e. the separation process, takes place by gravity towards the bottom of the column. At the end of the separation process, the purified sample is retrieved at the column output. 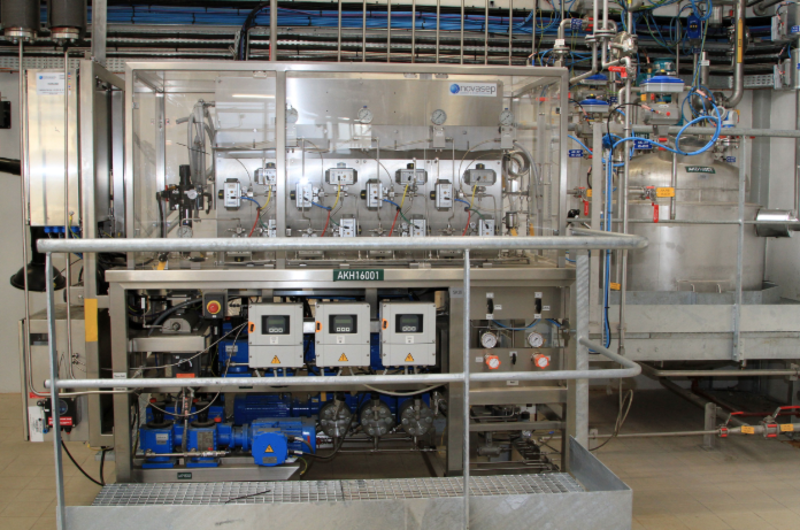 A preparative chromatography workshop at the Bolbec production site (France). Some impurities, or by-products, can be quite similar in their formulae to the molecules that need to be preserved in the active ingredient. Servier’s InnoPrePTM technology allows the operator to separate complex molecules from one another with high accuracy and significant savings on processing time, ranging from 3 to 6 months depending on the mixture, thus ensuring a faster transition to the clinical application. This technology is particularly useful in the area of oncology, which relies on active ingredients made of complex molecules. This technological innovation also means that up to 90% of the solvents can be recycled, which makes it a sustainable solution for the environment. 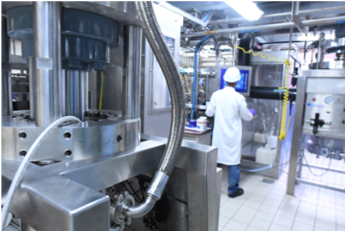 The new InnoPrePTM range of services has been operational since September at the Bolbec site (France), and has been beneficial across the board for Servier’s research, clinical lots, and production activities, especially in the area of oncology. InnoPrePTM is also made available to third-party laboratories through Servier’s activities as a CDMO [Contract Development and Manufacturing Organization]. It is an addition to Servier’s existing preparative chromatography service offer, which boasts over 30 years of expertise in this area.